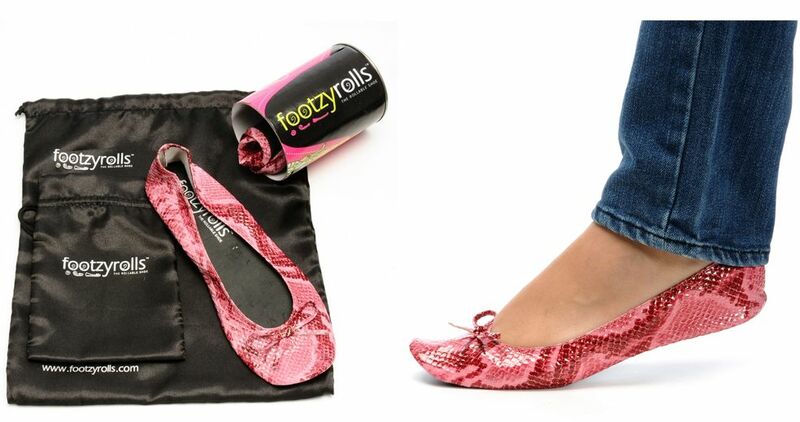 cat eyes & skinny jeans: Heels on the Sidewalk...Footzyrolls in Your Handbag! These are so great to have in your purse. What a cute idea, and they look so comfy. Definitely a fun gift idea, or heck, a fun necessity for myself too! What a fantastic idea! I definitely need these. they are so cute! what a great idea, i'm definitely getting myself a few pairs! I think that these are not only adorable but absolutely BRILLIANT! these are genius I wish I would have invented these! I'm totally getting behind the trend of flats that are purse friendly. First, Dr. Scholls and now FootzyRolls! That totally rhymed. I hope you're having a good Friday. What a perfect shoe! I've had many a day where I've had enough of my heels and wanted to abandon them. These would be perfect to have in your bag at all time. Those are great to have..especially, at concerts. I have a few pairs of these. I love them for those emergencies when I just can't go another step in my heels. But I wish the soles were a little more durable. I stepped on a piece of glass once and it when right through the paper thin sole... not fun. Haha that's such a cool idea! I need to get a pair! would you mind check it out? I've always thought those sounded like a great idea, but I don't have much use for them! Perhaps a gift for my sister who's Chicago-bound next year? Those are such a cool product. Are you kidding me? These are AMAZING!! I so often carry a second pair of shoes in my car, my bag, wherever...this is IDEAL! Thanks so much for the FANTASTIC post!! 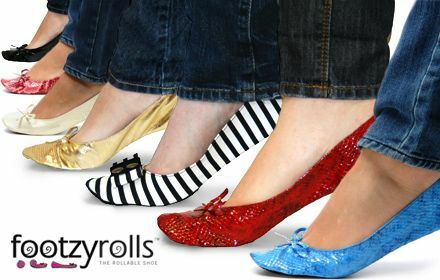 Thanks for sharing such good designer footwear. I always wanted a design catalog for footwear as I purchase shoes online. Also when sending gifts to India, it could come handy.